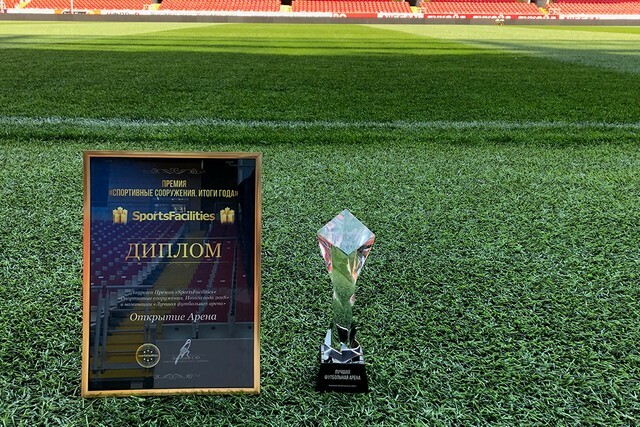 Spartak’s Bulgarian midfielder spoke about his role in the club, the relationship with the head coach, Promes’ perspectives, agents and FC Kuban. – You were not even included in the line-up for the last test match against Hebei China Fortune. You watched the game with a sad face from the window. What happened? – I feel great and everything is fine with my health. We had a weight training after the game and I worked with no restrictions. So it is only the decision of the coach. Maybe I lack something. It happens during the training camps. Some people have more play time, some have less. The coach made a decision and there is no problem with it. – So you are content with your condition, right? – I had a conversation with Giorgio D’Urbano a couple of days ago. He said I was showing good results during my training. – You only played one half during the latest three test matches before that. The people keep actively discussing that Popov is an odd player for Carrera’s system and that coaching staff do not trust him. It is rumoured that some Turkish and other Russian clubs are interested in you. – There are always rumors. In the beginning of January they wrote that I was going to join FC Udinese. I told the Bulgarian mass media that it was only speculation back then. I received no calls from Italy. Spartak never let me know about someone from Italy being interested in me. My contract will stay valid for another year and a half, so there is no truth in these rumors. – Is it wrong only concerning FC Udinese or concerning everything else as well? – They are always talking during every transfer window; it has been like that for the last year and a half. They always keep talking… Yes, I indeed got an invitation from FC Trabzonspor in winter of 2016. They offered me great conditions, better than Spartak. I refused, because I wanted to become the champion of Russia. They also invited me to China at around that time. I refused, too. This summer when we won the gold, I received another invitation from Trabzon. I refused once more, because I wanted to win the Super Cup and to participate in the Champions League. – Why did Trabzonspor like you so much? – I spent two years in Turkey and left a good impression. Our humble team won the fourth place during the first season I spent in Gaziantep. They started making offers back then, but I chose Russia. I like it, my family got used to it. My son is in the kindergarten now and will enter school soon. We like it all. – Have you received any invitations from Turkey this winter? – No. I read about Russian clubs too: FC Rubin, FC Dynamo. Again, I never received any official offers. – The reason of these rumors is understandable: you have participated only in few games this fall. Why did it happen? – They say that I am not getting enough play time, so I want to leave. Of course as a person who participated in 73 games of the national team of Bulgaria I would like to play more. Any professional would. But it does not depend solely on me. The coaching staff makes the decision. I have to do my job, to train and to grab the chance as soon as I get it. – Wasn’t Hanni’s transfer a wake-up call for you? – I was never worried about the competition. I will wait for my chance and I am perfectly aware about what I am capable of. I believe in my strength. – There is a rumor in football community: Popov was training with the starting line-up before the last game of the year against FC CSKA, but in the end he was not included in the line-up for this match. It seems that he got offended and chose not to replace his teammates during the game. – Nobody knows anything about the starting line-up in advance. The training sessions keep going one after another, everything changes. The line-up hardly stays the same for every game. Those are only rumors. Did anyone from Spartak’s management say anything about transferring Popov? – Do you mean that your relationship with Massimo is good? – Absolutely. We are training, we are talking. He joined us during the training session this Sunday and we played for the same team. – Have you discussed your future with him? – No, we had no such conversations. His assistants talk to the players more frequently. – So what was the reason why you have participated in rather few games this fall? Maybe you cannot be part of the formation? – I think that I am the most useful as number ten, when I get some freedom on the field. Sometimes we play with one holding midfielder and two other midfielders who are a bit further, so there is no pure number ten. Of course, each player has to be used to any kind of formations. I played a lot on the right side and on the left side, and even was a holding midfielder sometimes. It means that the coaches think of me as of an asset in these positions. It is harder to show my best qualities on the side or in the holding zone, though. – Yes, I worry about it. There were some moments, but they were not successful. I keep working to improve that. I have always been an attacking player and people are used to it, they wait some successful actions from me. They are not interested in me being close to the goal during one match or another. 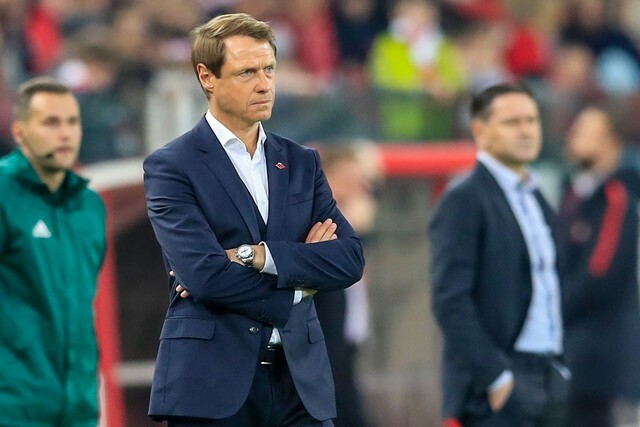 – Was the last fall the hardest period with Spartak? – I think so, yes. I have not been able to play that much during the last sixth month and I did not score. Of course, it takes its toll. But all in all I am fine with my career in Spartak. After all, we won the trophies quite recently. – What do you think about the team’s general performance this season? – The environment in the team is great, the competition is high, the training sessions are intense, the aims are great. We want to win the Cup and progress as far as possible during the Europa League. It is possible for us to win against FC Athletic. Of course, the players keep saying that it is still possible for us to catch up with ‘Loko’. If we manage to do it, this will make us an iron team! – Were you surprised by ‘Loko’s breakthrough? 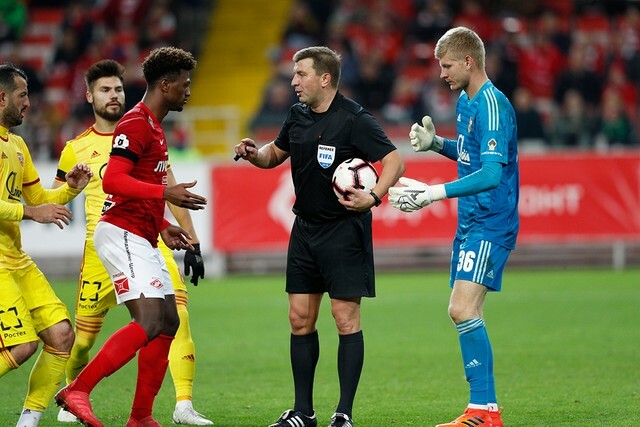 – The team use Spartak and Zenit’s mistakes to slowly gain points. 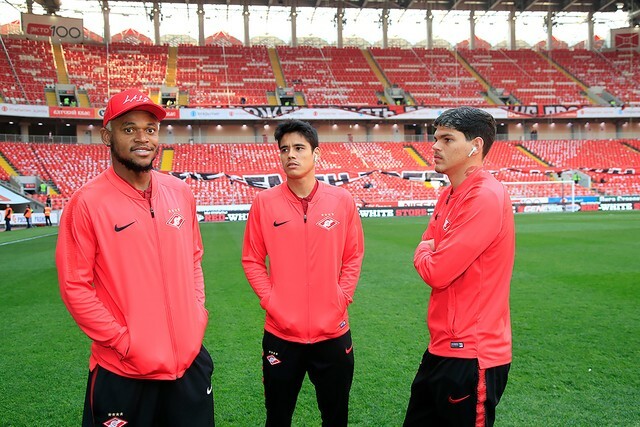 Farfan, Fernandes, Miranchuk. But this spring Loko has a very tight schedule. We have more teams from the second half, so the real battle is ahead. Spartak has good players. If we continue showing the performance that we showed during those several games of the Champions League and the final rounds of the first half of the season, we will have new reasons to be happy. Our fans’ support should help us, too. – You were named the best player of the year in Bulgaria several times. Do they worry about you not playing often? – Yes, they are asking me about it. What can I answer? I have to work and wait. – Recently you said that you recommended some young Bulgarian player to Spartak. – It was Kiril Despodov. He played against Spartak during the latest match against CSKA from Sofia, on the right side. I introduced him to Attilo Malfatti. Many clubs want to get Kiril, because he is a fast guy with a good level of technique. – He is a right forward. Can he replace Promes? – (Laughs) Promes is the best player of Spartak and the whole Russian championship. He becomes stronger and stronger with every passing year, and he is also a member of the national team of the Netherlands. It is too early to look for someone to replace him. There are rumors about all the players, but as you can see Promes is still here. – Quincy is surely ready to move on to the next level. – He will surely make this step forward. Nobody knows when. He may do it this summer or a year after that. I keep telling him that he will need to make a decision, because he has everything it takes to become a world star. It is important not to rush moving to another championship, because the level of them is very different. Sometimes people are just not ready for such drastic changes. There is also adaptation. Then those people come back and after that it becomes incredibly hard to make such a decision again. But I am only talking about young players who leave their home countries. – Have you had to deal with something like that, too? – I remember myself, the way I came to FC West Bromwich from FC Litex for three days when I was young. It was very hard and nothing came out of it. I managed to see the way they were training, though. I came back, looked at Bulgarian training regimen with fresh eyes and understood how far ahead the British clubs were. I thought about it and it led to me becoming stricter towards myself and training more actively. I also visited FC Blackburn. I could not stay there, too. Sam Allardyce was their coach. He used to say: ‘You are already our player!’ But when Litex’ boss and I came to them to sign the papers on the last day of the transfer window, the president of Blackburn came in and said: ‘I am sorry, we were waiting to transfer one of the forwards, but we could not. We will transfer you to our team this winter, I give you my word!’ But when I got back to the hotel, I received a call from Turkey. They were actively trying to recruit me, so I said yes. – Was it hard to decide? – No, I was pretty confident. There were two Bulgarian players who were members of FC Gaziantep in the past — Georgy Ivanov and Zdravko Lazarov. I also was ready for it back then, my wife helped me get used to the new place and I learned Turkish pretty fast. By the way, I always thought that learning the local language was the most important thing. They start to respect and value you more this way. In the future I never regretted choosing Turkey. I have been already playing abroad for eight years. – Since you can recommend some players, don’t you want to be an agent in the future? – Oh no. I always thought about the agents as about the greatest evil. If the presidents of the clubs talked to each other directly or talked to the players directly, it would be much easier. The agents spoil many transfers. I was the one to discuss the conditions back in Turkey. I did it with FC Kuban, too. The advantage is knowing exactly what every club proposes or promises. Of course, sometimes there are hard situations when you need help, but I think that football has integrated with business too much nowadays. – Have you ever regretted not having an agent? – I never have. I think that my career is going smoothly, so I am not going to complain about anything. – Don’t you want to complain about FC Kuban because of their debts you had to chase up for a long time? – I remember Kuban with warm feelings. I was glad when I heard them applauding for me from the tribunes during this season’s Cup match against this team. They kept yelling ‘Bulgarian pepper (a Russian name for bell pepper)’ — that is how they called me there. They seem to be grateful for my efforts and I respect them. – Everything will turn out to be good sooner or later. Of course, FC Krasnodar is way ahead now, but FC Kuban has their own history, they have fans all around the Krasnodar Region. – Whom will you be rooting for during the World Cup? – I will be rooting for the national team of Russia, since it is the country I earn my bread in. I do not know if I will be able to visit the games. It depends on the terms of the training camps. I’d love to, though. My wife and child went to Luzhniki recently to watch the game of Russian and Argentinian national teams. They took pictures and they were rooting for the team. My son knows all the players. They had to wait for a long time and the way to the car was long, but it is all trifling matters. – Does your son play football? – Yes, but only in the kindergarten for now. It is too early for him to join Spartak. However, if we stay in Moscow for a long time, I will surely let him join the Academy. – Which kindergarten has such involvement with sport activities? – It is in Novye Veshki. That is where 85-90 percent of Spartak players live. – Let us ask you the last question about transfers. The window in Russia is open. Are you surely not planning to leave? – Anything can happen in life. We are talking now, on February 5 and now I am a player of Spartak. While this is true, I will do my best to defend the red-and-white colors.